We’d love your help. Let us know what’s wrong with this preview of The Magic Number by Jeff Berman. To ask other readers questions about The Magic Number, please sign up. Read this to understand the delegate race--which it explained. However, Berman kept throwing in these little paragraphs that weren't even really anecdotes. He'd be writing about how tense the office was, and then his family came to surprise him so they went to lunch. Which, I'm all for explaining the toll the job takes on your family, but to say "we got lunch" is not great writing. Show, not tell and all that jazz. Somewhat impenetrable at times, but fascinating in its detail. Berman takes you into every caucus and every primary, and I wouldn't have it any other way. Read when news broke that Berman had joined Hillary Clinton's campaign. 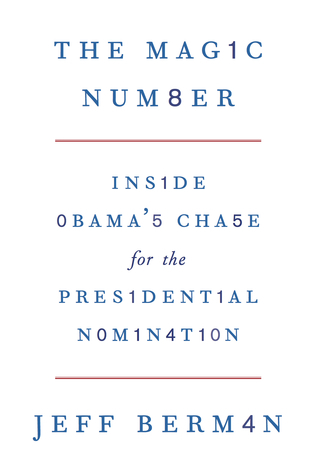 Some great stories from the 2008 campaign, I really enjoyed reading some of them. Unfortunately there was also a lot of filler to make sure that every primary/caucus was covered and that detracted from the overall narrative, but still a very interesting "behind the scenes" report from 2008. A thriller for political geeks... even though everyone knows how it ends.